Alt Seen Eye is a collaboration between Party For The People, CADS and Rootstock Trading who set out to create a truly unique shop and venue. 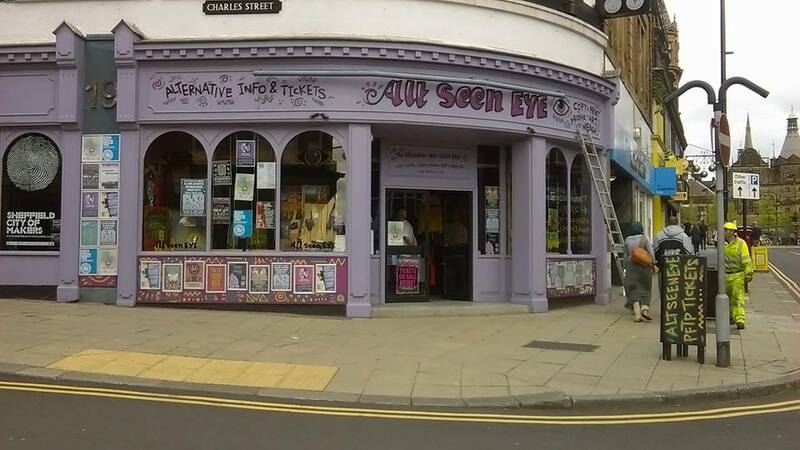 Alt Seen Eye provides a city centre location for an alternative ticketing hub. 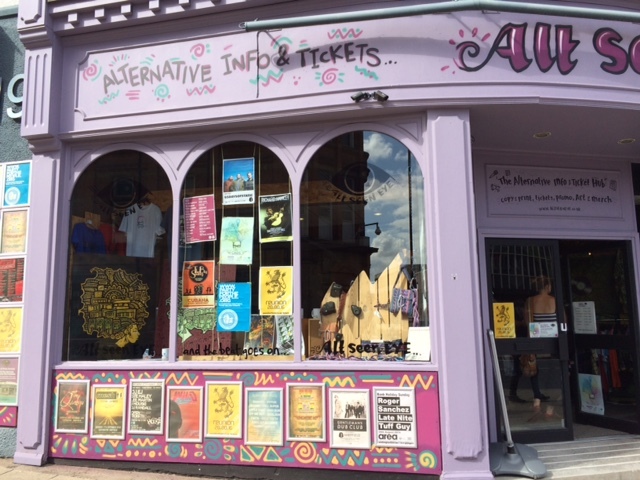 The unit provides gig tickets and information on events that you aren’t likely to find in a standard tourist information centre. Alt Seen Eye combines the ticketing hub with a retail space and art gallery for local artists, designers and makers. The unit has previously housed an amusement arcade, Christmas shop and a gentleman’s barbers and sits within the Sheffield Retail Quarter development zone. The team used the Renew funding to refit the unit, paint and decorate, purchase key equipment including a till and bring it back into public use, installing a fire alarm system and recruiting an electrician to rewire problem areas. 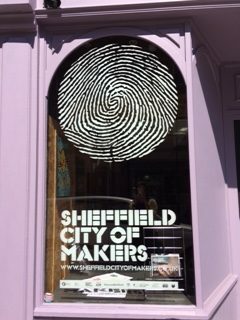 Currently the back of the shop hosts The Year Of Making Gallery and showcases rotating exhibitions for a few weeks at a time in partnership with The University of Sheffield. 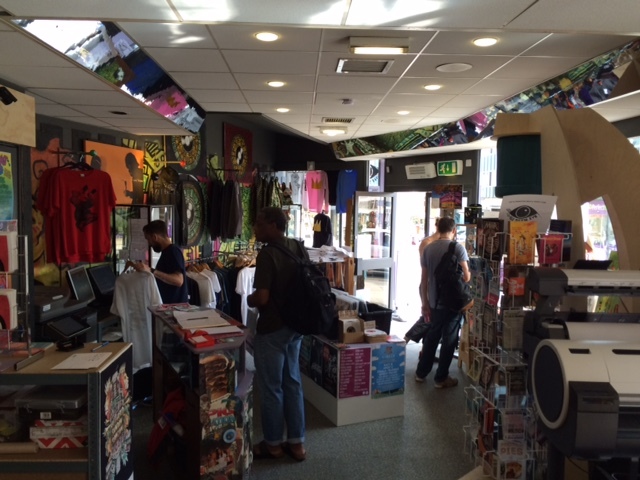 The retail space provides a city centre unit for a number of independent local traders selling everything form vinyl, art work, clothing and accessories and gifts. The shop provides local knowledge and an opportunity to ask for advice on the best gigs going on or best restaurants to head to. The unit is open Monday to Saturday and welcomes everyone for a look around the gallery or those having a flick through the vinyl on sale. Keep an eye out for the upcoming event programme at the gallery which includes, exhibition launches and acoustic sets from local musicians. The contributors to Alt Seen Eye are Party For the People, CADS and Rootstock trading. 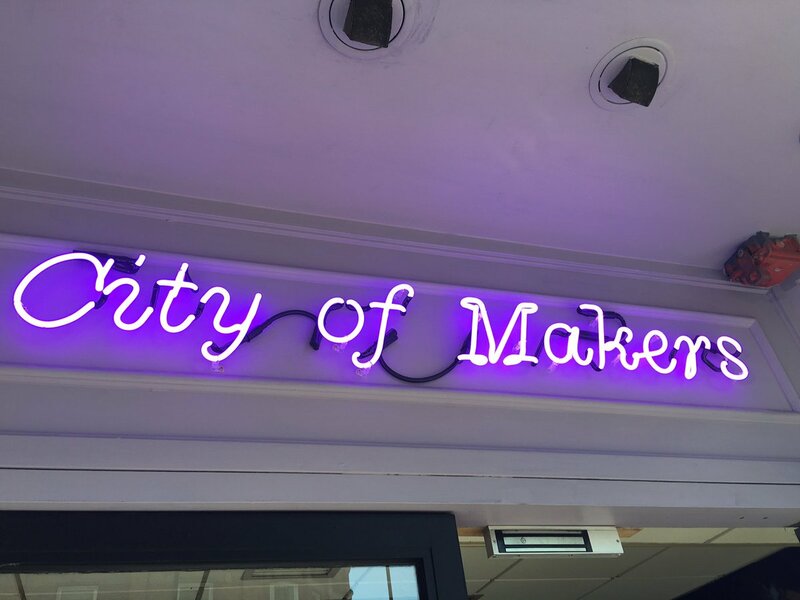 Sheffield University are currently hosting The Year Of Making using the gallery at the rear of the unit. The venue is managed by Nicole.